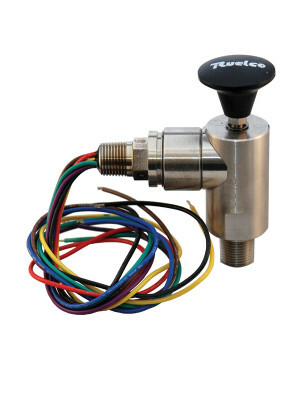 The Ruelco Model 1SE3 Electric Sand Probe Relay uses a thin wall steel probe installed directly in a flowline to detect and indicate that excessive erosion or corrosion has occurred. It utilizes a reliable SPDT or DPDT microswitch which can be operated normally open or normally closed. In addition, the relay also provides visual indication that the probe has lost pressure integrity. This alerts field personnel that inspection of the flowline and possible repair may be required. 316 stainless steel construction (models to NACE MR0175 available). Will operate with flowline pressures as low as 100 PSI. Viton o-rings are utilized for dependability. Red band on shaft provides positive indication that sand probe relay has operated. Knob provided for manual testing. Single or double pull microswitch. Probes for 2″ to 4″ pipe available. Sch. 40, 80, 160 and XXH probe wall sizes are standard.